Party Secretary of Tibet Autonomous Region. Member of Tibet Work Leading Group. 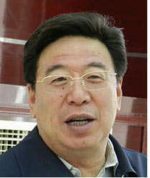 Education: Took his degree at Lhasa University (1979 – 1983). Career: Has been working in the TAR since 1974 and risen through the ranks. Deputy Party Secretary since 2013. Appointed Party Secretary in August 2016. Prospects: Unclear, given lack of experience beyond the region, where he is clearly seen as a safe pair of hands. Relevance to Tibet: Party Secretary of Tibet Autonomous Region. Member of Tibet Work Leading Group. Wu Yingjie has worked in the Tibet Autonomous Region since 1974 (working on farms at Nyingchi and later at a power plant in Lhasa), but since taking a degree in Lhasa and joining the Communist Party in 1987 he has served continuously in the TAR. His roles have been in Education, Science and Technology, with short stints in Propaganda. In 2014 Wu told Indian journalists visiting Lhasa that talks with the Dalai Lama were “ongoing and always smooth, but we are discussing only his future, not Tibet’s.” “All Tibetans, including the Dalai Lama and the people around him, can return if they accept Tibet and Taiwan as part of China, and give up ‘splittist’ efforts,” The Hindu newspaper of India quoted Wu as saying. He claimed that many Tibetan leaders in exile had chosen to return to Tibet in recent years. Read more: Profile of Wu Yingjie by Jayadeva Ranade, published in India’s Sunday Guardian on 4 September 2016. Address: Tibet Autonomous Regional Office, No.1 Kang’angdonglu, Lhasa, Tibet 850000, PRC.